Search Engine Optimization or SEO is the utilization of various methods to promote and improve a web site and its contents with the purpose of increasing the number of visitors that come from search engines. To ensure that multimedia content, such as videos, get properly indexed by search engines, we need to enable them to be SEO friendly. This is done by creating a sitemap, an XML file that makes it easier for search engines to find your content. As a Vidyard customer, we automatically generate this sitemap for you. All you need to do is add your video URLs using our “Add to Video Sitemap” feature (explained below). Before you can add videos to a sitemap, you need to configure your robots.txt file to point search agents to your sitemap. If you do not have a robots.txt file, you can create one. See further resources to learn more about robots.txt. 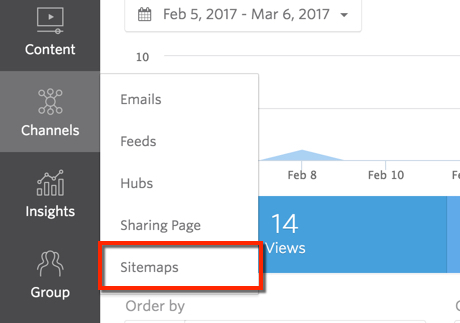 From the Vidyard dashboard, click Channels > Sitemaps. Enter the URL of the website where your robots.txt file resides. This is typically located in the root directory of your website. Add the provided link to your robots.txt file. Once you have added this line to the robots.txt file, click Save and Verify. Note: It is important that you do not refresh this page until you have completed verification. Whenever you refresh the page, it will generate a new line of xml. 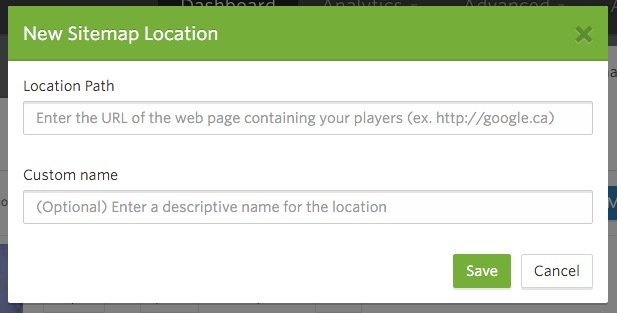 Once verification is complete, you are ready to add players to your sitemap! Adding videos to a sitemap allows search engines to index your multimedia content and adds contextual information about your video library that can generate search results pointing to your website. Note: Before you can add a video to your sitemap, make sure you have configured your sitemap (above). From the Vidyard dashboard, select Channels > Sitemaps. Enter the specific URL for where your player is embedded. Click the + buttons to add any players that are hosted at that location. Review the results. Players that are being properly tracked will have a green checkmark. If there is an error, you will be notified with a yellow exclamation mark.